Previously only released in arcades and on the Xbox 360 in Japan, where it was also region locked, this version appears to be a direct port with some scaling features. This is nothing new, both Deathsmiles and Mushihimesama, Cave developed shooters that also came to Steam, were ported in the same way. To be fair, those original versions appeared to be arcade perfect and feature complete and therefore justifies themselves as the definitive source material for titles that started life as massive arcade PCB boards. It’s not always the most perfect port, I noticed some modes have a degree of screen tearing, but then again I was scaling to UHD/4K, although going down to 1080p didn’t seem to help and my graphics card (GTX 1070) is more than capable of handling this title. If you’ve not played a vertical shooter in HD before, the visual presentation will be a little daunting. Only a small portion of the screen is used for the gameplay and about 40 percent of the screen real estate is nothing more than a stagnant background, albeit one you can select 30+ wallpapers for or have a steady rotation on timed intervals. If you are playing this on a plasma television or even LCD or OLED display I would recommend having a changing background if playing more than an hour. 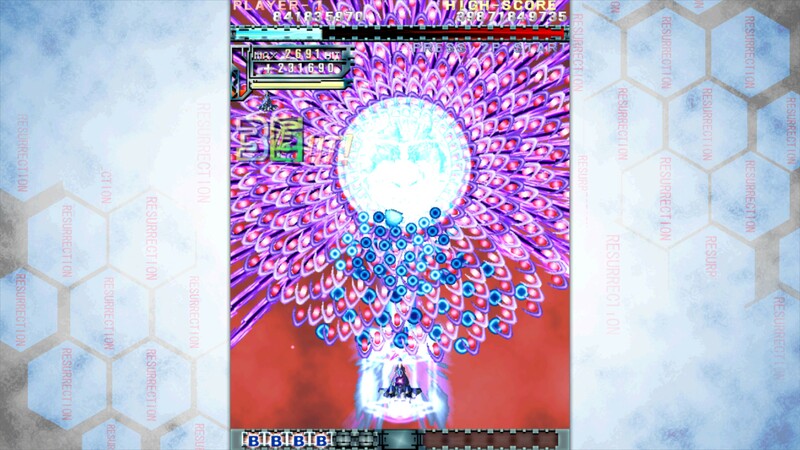 Those not familiar with Cave shooters may also think the title is slowing down when it enters “danmaku mode” that slows down the speed of everything on screen to help the player dodge the intricate pattern of bullets. It’s not slowdown, it’s built into the game, was present in the arcade version, and if you track the framerate it remains locked at 60 the whole time through. Most of these visual changes won’t matter much, however, because your focus will be exclusively on your ship and trying your best to not get hit. You have a slew of options aside from scaling and backgrounds, which include the whopping 8 different versions of the game (five for the traditional arcade version and three for the updated Black Label edition) and each version has built in selectable ships, play styles, and secrets. It’s all the same base game, but playing the different modes, ships, and gameplay options allows you to have a bunch of different ways to play the game and choose the ideal combination for you to become skilled at. 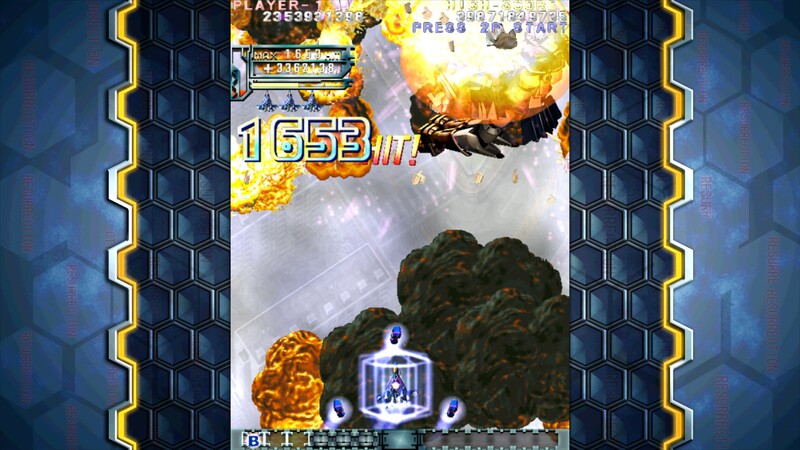 Yes, like all shoot-em-ups, DoDonPachi Resurrection is a game that is roughly an hour long and you will play through it tens if not hundreds of times to get good at it. Even then you may not get a whole lot better, like me, but the fun is in the journey. If repetition isn’t your thing or you don’t like playing games in a routine (like every other night for months as an example) then right off the bat this probably isn’t a good genre for you. On the other hand, if you like the idea of training yourself to be good at a game through tireless exercises then a Cave shooter is just what you’ve been looking for. 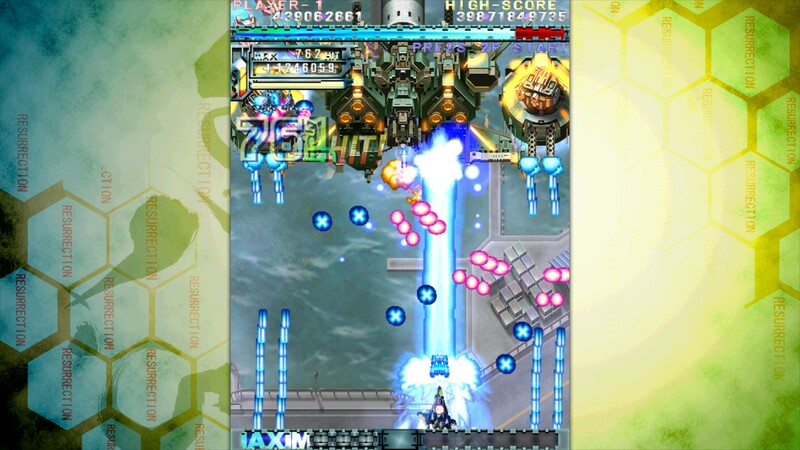 DoDonPachi Resurrection may be a shining addition to the shooter library on Steam for those that never got a chance to import it or want to play every title in a series that’s hard to collect in the West, but it’s also worthwhile to general game players of today. It merges the reflex-heavy twitch gameplay that even modern FPS fans have come to appreciate with the art style of gorgeous hand drawn graphics and bullet dodging in an almost puzzle like atmosphere. If you want to be challenged and have fun in the process, especially for this game’s low asking price, then DoDonPachi Resurrection may be a good fit. If you ever wanted to or actually did import the original on 360 for nearly $100 and somehow found a way to play it, then I don’t need to tell you to get this game, you’ve already pre-ordered it. Want to see this game in action? Check out our quick look. A review copy was provided by the publisher. 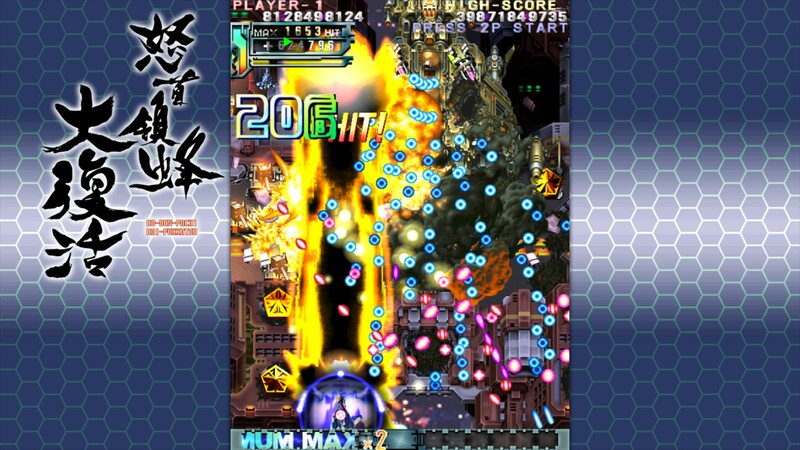 DoDonPachi Resurrection will be available October 13 on Windows platforms via Steam for a retail price of $29.99. It was played a total of six hours for the purposes of this review, but the reviewer had played some of the arcade versions and was familiar with the base game. Your mileage will most definitely vary. This originally appeared on The B-Team Podcast site as a review, but since ownership is partially shared, it was re-posted here with permission.